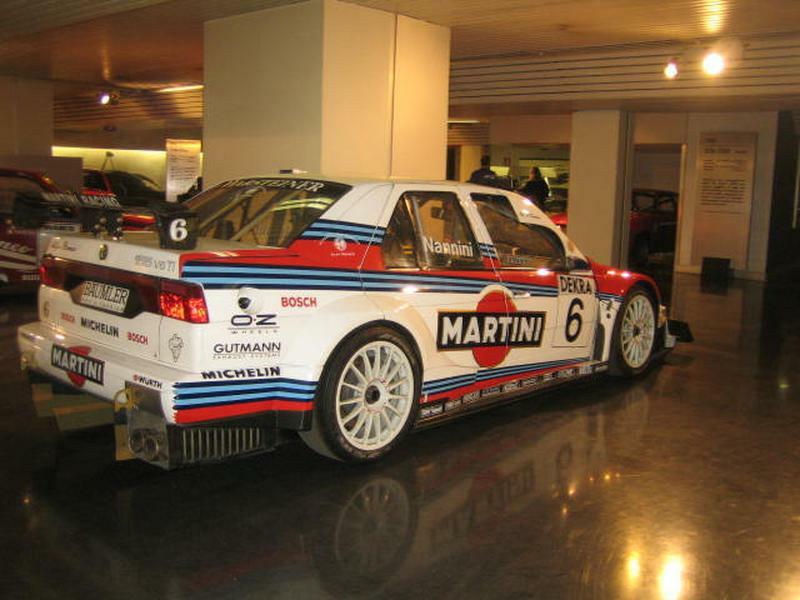 The Alfa 155 was released in January 1992 in Barcelona, the replacement for the Alfa 75, and was one of Alfa Romeo's most successful racing cars. It won the Italian, German, Spanish, and British touring car championships in the hands of Fisichella, Larini, Campos and Tarquini. 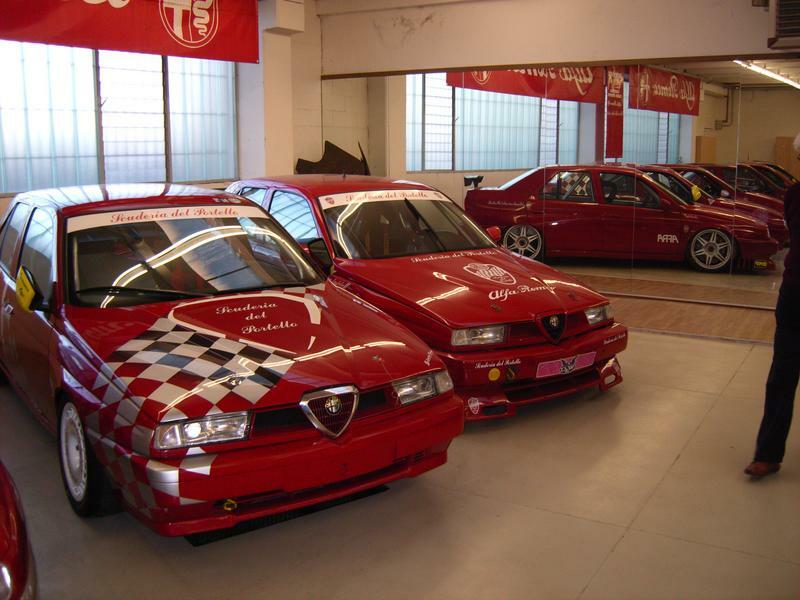 The car was based on the Fiat Tipo floor pan and was the first of the present generation of Fiat based Alfa Romeos. The car has two distinct eras, pre and post facelift, when they updated the car in 1995 there were very significant changes. The early UK cars all had Alfa Romeo's own two valve per cylinder all alloy twin spark engine or the 2.5 litre V6 engine, while in Europe they had a 1.7 litre twin spark, the Q4, 2.0 litre and 2.5 litre diesel engine. In 1995-6 the four cylinder Alfa engines were replaced with a Fiat derived four valve per cylinder units, the same engine that continued into the Alfa Romeo 156. The early narrow body cars are now quite a rare sight. The bodies on all 155s share the same profile, straight lines being the order of the day, and there is a very distinctive wedge shape tapering from the high boot line down to the front headlamps. The interior of the car is functional and sporty with a very nice steering wheel, and clear and comprehensive analogue instruments. The five speed gear box is light and very positive with the gears arranged in the usual Alfa Romeo pattern, the clutch is light and hydraulically operated and this, combined with the slick gearbox, makes cog changing a joy. Braking is by servo assisted disks all round and these were, when the cars left the factory, almost too light with first time drivers tending to plaster themselves all over the windscreen. The design very soon changed, in 1993 the grill was recessed and in 1994 the limited edition Silverstone version was released. This was an interesting development, as the car came with an extendable front splitter and a height adjustable rear spoiler in the boot in order to homologate these items for racing. This caused a furore on the track with all sorts of protests being made by the opposing teams and after a number of races in the UK Alfa was forced to run with the splitter in. 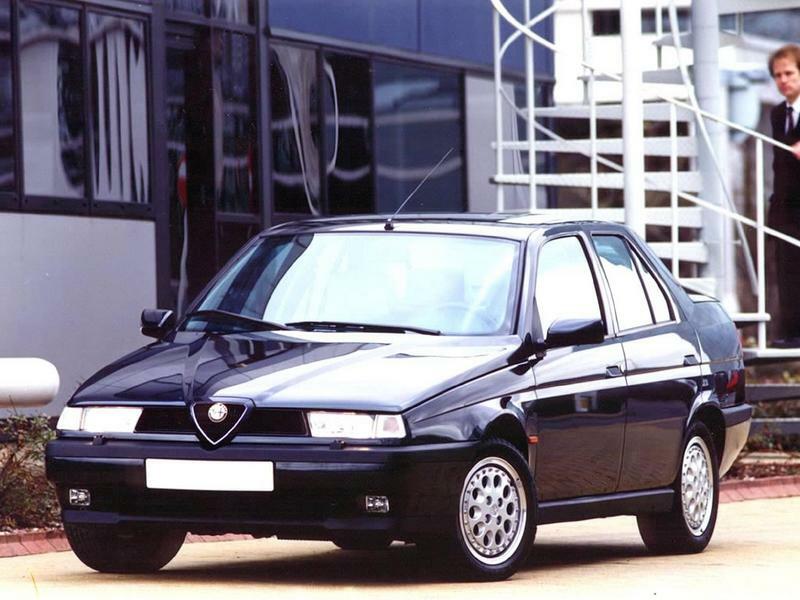 During the 1995 revamp the car was significantly modified; not only did the in line fours get changed to the Fiat unit, the car got a faster steering rack with 2.5 turns lock to lock and it also got widened by a couple of inches. Rumours at the time said that they needed to produce 25,000 cars with the wider track to homologate the design for track use, the quantity of cars that had to be produced in order to homologate a part had now been increased to stop manufacturers doing the “Silverstone” trick to get an advantage when racing. So in order to get round this new rule Alfa Romeo changed the whole range, this seems a little far fetched for me to believe but it is potentially true knowing Alfa Romeo. This revamp gave us probably my favourite model, the 2.0 litre twin spark 16 valve; this with sport pack three is a very enjoyable car to drive, being light and very nimble and absolutely brilliant at roundabout surfing, Top Gear magazine at the time stated “Sharpest of all is the ultra quick power steering which not only gives you lightening changes of direction with no more than a quarter of a turn of the steering wheel but feels almost alive in your hands-informative and precise” and as if that was not enough they went on to praise the “huge amount of grip” I know exactly what they mean. 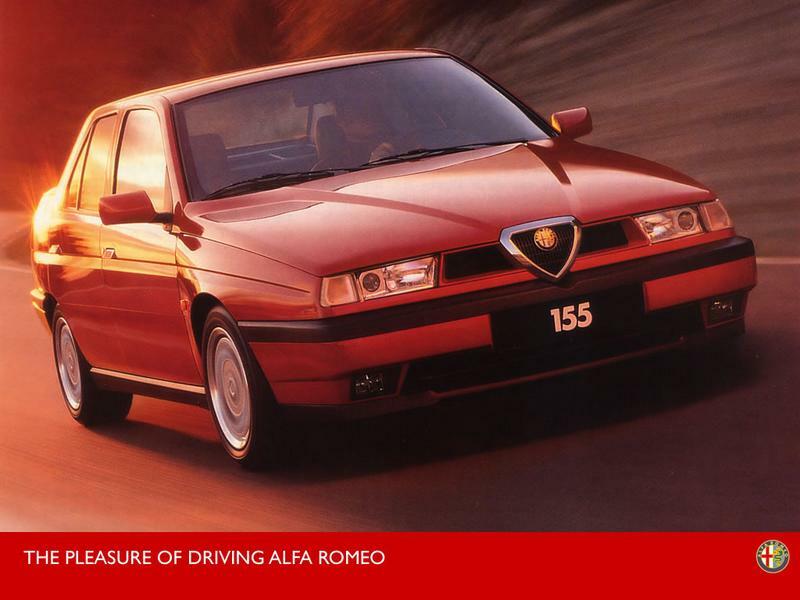 Probably the most excessive incarnation of the Alfa 155 was the 155 V6 Ti. Entered in the DTM (Deutsche Tourenwagen Meisterschaft) this car had a 2498 cc V6 24 valve engine with power outputs of up to 420 bhp. The car was four wheel drive with a six speed sequential gear box and all the body parts were carbon fibre. 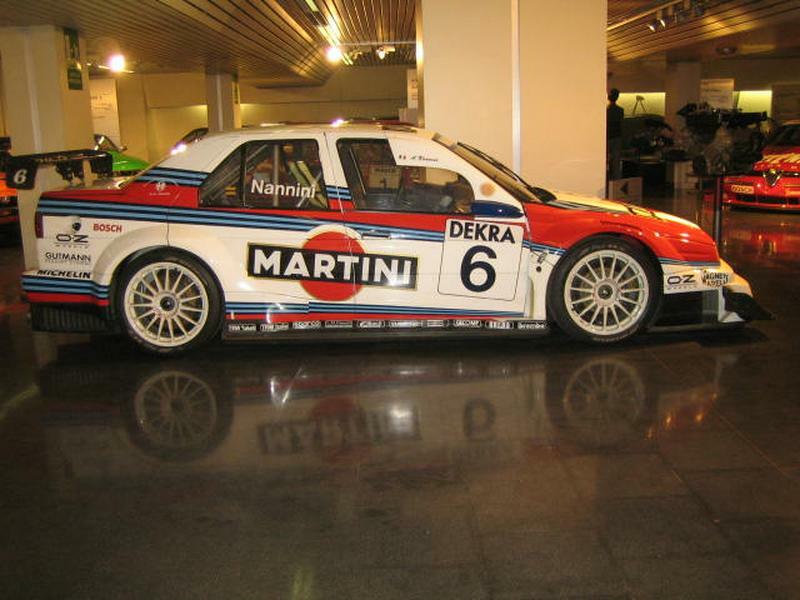 On its first outing the car won and it went on to win the 1993 DTM against determined German opposition. In 1994 they came to the UK and Gabriele Tarquini won the prestigious BTCC; the team had some very interesting moments in this campaign with one of the cars doing an impression of a motorbike at one point in the season.